In June, Corinne travelled to Brisbane for EduTech 2015, and recorded presentations from the Teachmeet event held on the floor of the convention room. Educators form around Australia gathered to share stories of their educational practice. 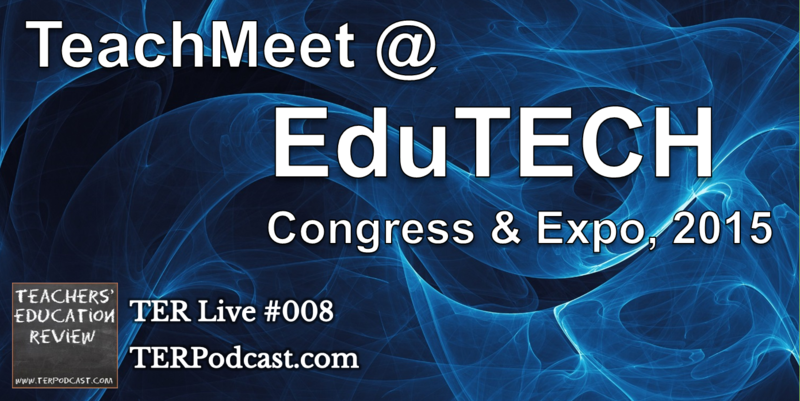 This podcast brings you a selection of recordings from 2 sessions of TeachMeet presentations held on Day 1 of Edutech. This entry was posted in Uncategorized by Capitan Typo. Bookmark the permalink.